The Great Oak Lawn Fund supports and maintains the Legacy of Love Monument at the Oak Lawn Triangle. The monument celebrates the diversity and spirit of the Oak Lawn neighborhoods in Dallas, Texas. 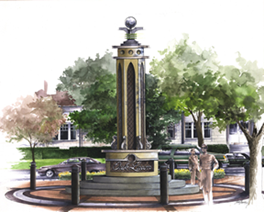 Located in the heart of Oak Lawn, the monument is the site of many celebrations and functions.